Please refrain from using web site material and photos for concert programmes and publicity - please check to ensure that the most up to date information is used. CONDUCTOR JAMES ROSS won scholarships to Harrow School and to Christ Church at Oxford University. There he studied history and music, writing a doctorate on French opera under Professor Roger Parker awarded the Sir Donald Tovey Prize. He was a 1998 BBC Philharmonic Orchestra Conducting Competition finalist; since then he has conducted in eighteen countries throughout Europe, North America, Africa and Asia. He is Music Director of Sidcup Symphony Orchestra in London, Oxford’s Christ Church Festival Orchestra, The Oxford Opera Company, Haslemere Symphony Orchestra and Chorus, Welwyn Garden City Orchestra and Chorus and Bridgnorth Sinfonia, and Artistic Advisor to The Commonwealth Resounds. Previous positions include with St Albans Symphony Orchestra, of which he is Vice-President, and Oxford University Sinfonietta. He has performed in UK venues including The Royal Festival Hall, Westminster Abbey for Queen Elizabeth II, and St. John's Smith Square, London, Symphony Hall, Birmingham and the Sheldonian Theatre, Oxford, including Beethoven's 9th Symphony for its 350th anniverary concert. He has conducted over 1,000 works, ranging from the Baroque, most core symphonic and choral repertoire, to contemporary music by Boulez, Ligeti, Stockhausen and many more. With soloists he has accompanied Mahler, Lieder eines fahrenden Gesellen with Sir Thomas Allen, concertos with BBC Young Musician of the Year Guy Johnston, and concerts with UK National Opera Studio singers. Major 20th-Century works include Stravinsky, The Rite of Spring; Schoenberg, Pierrot Lunaire; Janáček, Sinfonietta and Bartók, Music for Strings, Percussion and Celesta. He has also conducted much specialist French music and has a strong interest in contemporary music, including recording studio and film work. Numerous first performances including New Music Days with Roxanna Panufnik, Paul Patterson and City of London Sinfonia members supported by the Arts Council, and at London's Saatchi Gallery with Philharmonia Orchestra members. In 2013 he conducted the first orchestral concert at Colombo's Nelum Pokuna Theatre in Sri Lanka. As Artistic Advisor to The Commonwealth Resounds, in 2015 he conducted the Commonwealth Festival Orchestra in Malta at the Commonwealth Heads of Government Meeting, in 2017 toured with Chetham's School of Music to Uganda, in 2018 he conducted on a tour by The Purcell School and Turkish National Youth Philharmonic Orchestra members to Istanbul's Princes Islands, and has forthcoming projects in Antigua and Barbuda, and Rwanda. He gave the first performance of Nicola Moro's opera Love Hurts at the Piccolo Teatro, Milan, in 2016, and invited to conduct by the Center for Contemporary Opera in New York. 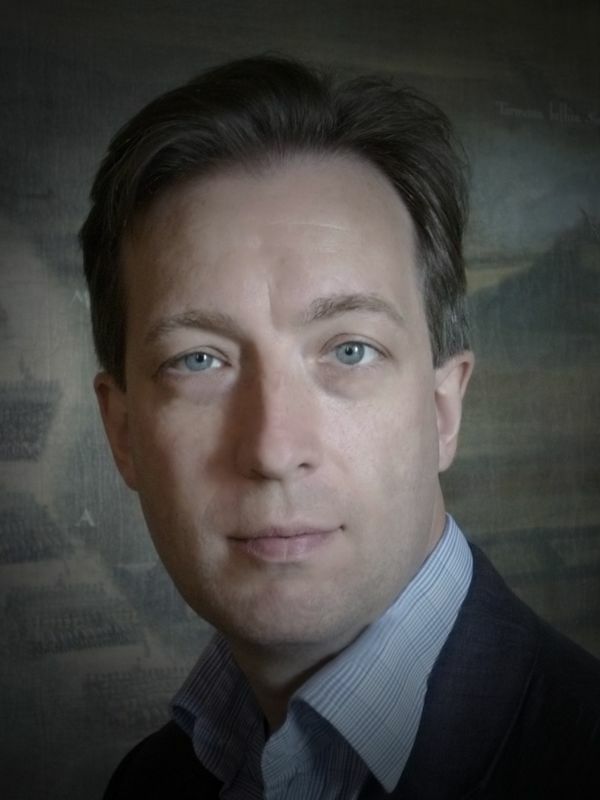 James Ross started his opera career in 1996 assisting on Bernard Haitink’s Royal Opera Don Carlos recording and has conducted standard repertoire from Mozart to Britten and contemporary operas; he has also worked on the music staff for Longborough Festival Opera's production of Wagner's Ring Cycle. He has studied with conductors from diverse musical traditions including Tsung Yeh (USA and China), Zdenĕk Bílek (Czech Republic and Slovakia), Victor Feldbrill (Canada), Ernst Schelle (Switzerland, France, and Bosnia with AIDIMOS), Michael Charry (USA) and Alan Hazeldine (UK); he has also received advice from Bernard Haitink, Paul Daniel, Peter Donohoe, Sir David Willcocks and Sir Charles Mackerras. He is a frequent guest speaker, including at the Bibliothèque nationale de France, and the Purcell School of Music; he has taught at Oxford University and contributed to Music and Letters, Opera, English Historical Review, Musical Times and books including Vincent d'Indy et son temps, French Music Since Berlioz and French Music, Nationalism and Culture. James Ross has helped raise over £1,000,000 through concerts for charities including Whizz-Kidz, Addaction, Rethink, The Fund for Epilepsy, NSPCC, Response International, UNICEF, Sunera Foundation of Sri Lanka and Oxfam. In 2012, he presented a concert in aid of the Sunera Foundation and the UK-Sri Lanka Traumi Group with Danielle de Niese and Rohan de Silva at St John's Smith Square, London, and has conducted with English National Ballet in aid of Save The Children. He is a Fellow of the Incorporated Society of Musicians (UK), the Conductors Guild (USA) and League of American Orchestras, and holds a UK enhanced DBS certificate. He is also a director of music consultancy and production company Ulysses Arts , whose clients include record companies, orchestras, venues and digital music services and other specialist music businesses, including Apple/ITunes, The Barbican Centre in London; Deutsche Grammonphon; The Berlin Philharmonic Orchestra, L'Orchestre de Paris; the French government's Bureau Export; The Julliard School of Music and 21C Media Group in New York; soloists including Jeremy Denk and Sarah Willis; The Afghanistan National Institute of Music; and Meyer Sound Laboratories in Berkeley, California.